A fatal bicycle accident involving a 28-year-old man at the Olympic Park has sparked a debate on cycle safety and whether or not it should be compulsory to wear cycling helmets. Olympic gold medallist, Bradley Wiggins commented on the subject by saying that he thought that if a cyclist was not wearing a helmet and had a serious collision then the cyclist would not have much of a defence. Making a commitment to doing everything possible in protecting yourself as a cyclist was Wiggins’ line of argument. He also added that wearing headphones and listening to music was not advisable. Bicycle accidents can often be fatal. They can also be a major cause of head injuries. According to a report carried out by cyclehelmets.org in 2002/3, there were 2,183 hospital admissions in England for head injuries relating to bicycle accidents making up 7.1% of the total. More up –to- date information from ROSPA (The Royal Society for the Prevention of Accidents) shows that the picture has not changed in the present day. 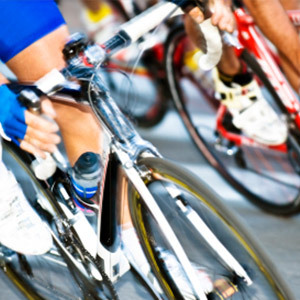 A report published online in July 2012 states that head injuries are very common in bicycle accidents. Cycling accident outcomes vary from minor cuts and bruises to concussion and serious brain injuries. Hospital admissions data shown in the report reveals that 40% of cyclists suffer head injuries. A fatal cyclists accident study mentioned in the same report indicated that the majority of deaths were caused by head injuries, with 70% of cyclists killed in London having moderate or serious head injuries. The link between head injuries and helmets has not been specifically discussed but in response to Wiggins’ comments the Mayor of London, Boris Johnson, has confirmed that there will be no change in the law yet as evidence is ‘mixed’. National Cycling Charity spokesperson, Chris Peck said that the enforcement of wearing a cycling helmet would prevent people from cycling as much and being healthy which is more detrimental to public health than insisting on helmets being worn. Since his comments, Wiggins has said that he is not actively campaigning for helmets to be worn but he was asked what his views were by a journalist. If you have had an accident whilst riding a bicycle which was not your fault you may be able to make a claim for compensation. Contact us on 0800 342 3206 today or fill out our quick only claim form. One of our team will be in touch to discuss your bicycle accident claims in an informal, yet professional and confidential manner. In addition to bicycle accidents, we also cover a wide range of other personal injury claims, including head injury compensation claims, road traffic accident claims, medical, clinical and dental negligence and injuries at work.